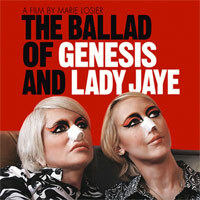 Last night I had a chance to see The Ballad of Genesis and Lady Jaye, directed by Marie Losier. This beautiful and thought-provoking film is very experiential and dreamy, and a departure from traditional documentary films. 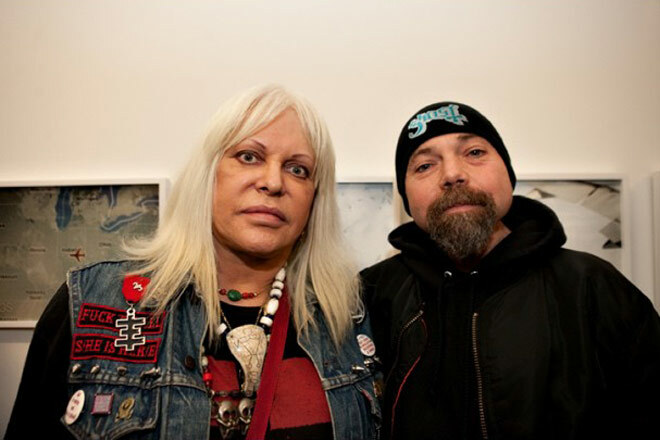 Marie documented the love relationship between Genesis Breyer P. Orridge and Lady Jaye and their “Pandrogyne” project where they had plastic surgery to better resemble one another. Industrial music fans know Genesis as a member of Throbbing Gristle and Psychic TV. The Ballad of Genesis and Lady Jaye is playing in SF at the Embarcadero Cinemas. About a month ago my husband, Ray, and I had chance to briefly meet Genesis at the pre-party for the film. Here’s a photo of Genesis (left) and Ray (right). Whenever I visit the Metreon here in San Francisco, I always make it a point to cruise by Chronicle Books to see their new titles. I’ve missed visiting Chronicle Books during the Metreon renovation, but I’m glad to report that the brand spanking new Chronicle Books store is opening this week! They are hosting an Opening Party this Thursday, March 8th from 6pm – 9pm, and I can’t wait to see their new store. For more opening week events, check out the Chronicle Books blog. Collect. Curate. Create. We all are consumers and connoisseurs in our own way, and Pinterest is a celebration of that, as well as a tool for making it easy for us to collect and share our interests with others. 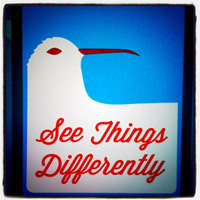 Thursday night I headed over to the Pinterest SF meetup with my friend and fellow photographer, Jen Longaway. West Elm of Emerville hosted the event, with amazing sweet treats from . It was great to meet two of the founders of Pinterest, Ben and Paul, as well as other Pinterest users. Want to keep up with my Pinterest boards? You can follow me on Pinterest here. As a big fan of owls, I was happy to see these cute owl sculptures. On the left, Ben Silbermann, one of the founders of Pinterest. Last year Ben spoke at L2 Innovation Forum 2010, and it’s a great talk about collecting and why they started Pinterest. Check out the video here. Chocolate chip cookies and milk by Relish Catering. Cute couple celebrating their 10th wedding anniversary. Congrats!